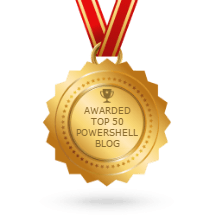 Most important thing in mastering powershell is to understand how windows Powershell Help system works. According to me its the best tool provided by the powerhsell creators for understanding and reference purposes. The Get-Help cmdlet displays information about Windows PowerShell concepts and commands, including cmdlets, functions, CIM commands, workflows, providers, aliases and scripts. To get a list of all help topics on your system, type: Get-Help *. You can display the entire help topic or use the parameters of the Get-Help cmdlet to get selected parts of the topic, such as the syntax, parameters, or examples. Conceptual help topics in Windows PowerShell begin with “about_“, such as “about_Comparison_Operators“. To see all “about_” topics, type: Get-Help about_*. To see a particular topic, type: Get-Help about_<topic-name>, such as Get-Help about_Comparison_Operators. Or “<cmdlet-name> -?“, which is identical to Get-Help but works only for commands. Get-Help gets the help content that it displays from help files on your computer. Without the help files, Get-Help displays only basic information about commands. Some Windows PowerShell modules come with help files. However, beginning in Windows PowerShell 3.0, the modules that come with Windows do not include help files. To download or update the help files for a module in Windows PowerShell 3.0, use the Update-Help cmdlet. Using the -online switch in Get-Help cmdlet.